Welcome to Become a Writer Today hosted by Bryan Collins from Ireland. Get practical advice about creativity, productivity, writing and lots more. Need help writing? Visit becomeawritertoday.com/join and I'll send you a free course. Are you considering quitting your job to work in your business full-time? You may not have to burn the boats or go beyond the point of no return, just yet. Ajit Nawalkha is the author Live Big: The Entrepreneur's Guide to Passion, Practicality and Purpose. From Jaipur, he's also the CEO and co-founder of online education platform Mindvalley. As a business coach, Nawalkha also helps new entrepreneurs turn their fledgeling business idea into something they can work on full-time. In this podcast episode, he explains: Why you shouldn't quit your job, at least not yet His process for creating memorable business books What the creative process looks like for non-fiction writer and entrepreneurs And lots more Finally, here's my take on the best grammar checker for 2019. Daniel Pink is the New York Times best-selling author of books like When: The Scientific Secrets of Perfect Timing and Drive: The Surprising Truth About What Motivates Us. His new book When: The Scientific Secrets of Perfect Timing was one of my favourites of 2018 and it informs how I now structure my day. In this podcast episode, Pink explains: ● His research process for writing best-selling non-fiction books like When, Drive and To Sell is Human ● The ideal time for writing, researching, attending to admin and more ● How he approaches his workday and keeps to a writing routine ● The differences between early risers and night owls And lots more. Finally, here's my take on the best grammar checker for 2019. January is one of my favourite times of the year. It's a time for renewal and for reflecting on what worked and didn't work during the previous year. So in this 2018 annual review, I will share with you what worked for me during 2018, what didn't work and what I'm going to focus on during 2019. Hopefully you can use some of my lessons to build authority this year and earn more from your writing. Finally, here's my take on the best grammar checker for 2019. Alexander Niehues (aka Alex Newton) worked as a senior management consultant in the corporate world for 20 years before quitting his career to work at home in Stuttgart and founding K-lytics. In this podcast episode, Newton explains: How to use analytics to sell more books Why he relies on outsourcing and contractors What non-fiction authors can do to earn more money The types of books that sell a lot on Amazon today And lots more. Michael Jordan credits Howard H. White with supporting him throughout his 15-year career and helping him beyond the game of basketball. He's Nike's liaison for athletes such as Michael Jordan and Charles Barkley White is also the author of the popular business book Believe to Achieve. In this interview, he explains: * How he wrote a popular business book * His process for setting big audacious goals * What he learnt from Michael Jordan And lots more. Meditation is a proven practice that can help writers and creative professionals find better ideas for their work too. After I wake up early, I typically meditate each morning for 10 or twenty minutes before sitting down to write. This practice can help you find better ideas for your fiction and non-fiction too. Just ask meditation coach Marianne McGuire. In this podcast episode, she explains: * The link between focusing on your breath and the blank page * How new writers can conquer feeling overwhelmed * A type of meditation practice that's perfect for writers And lots more. Over the years, I've tested dozens of digital productivity tools for setting goals and managing to-do lists. Although digital tools are useful, paper-based daily planners are becoming more popular. MiGoals is an example of an Australian company that sells these type of daily planners online. Co-founder Adam Jelic and his team created a series of daily planners and journals to help writers, entrepreneurs and creatives accomplish more each day. A former soccer player, Jelic started his business as a side-hustle in 2010, while working full-time selling photocopiers. 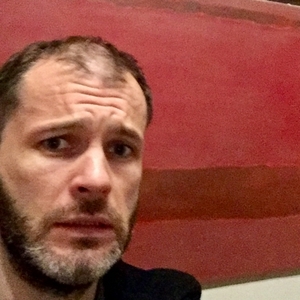 Jelic felt motivated by the regarded Australian Football League Player, the late Jim Stynes, who encouraged people to get out of their comfort zone, face their fears, and do things that matter. So Jelic set a goal of leaving his full-time job to work at MiGoals full-time and support his family. But, how did Jelic turn this goal into reality? When was the last time you had to deal with criticism? If you’ve worked with an editor, you’ll know how difficult it can be to deal with criticism. Working hard on an article only to get it back covered in red ink or with a request for a major rewrite isn’t a pleasant experience. But here’s the thing: It happens to every writer, and it’s part of the job. Failure and rejection are pit-stops along your journey to becoming a better writer. I know this from personal experience. No matter what type of writer you are, setting a writing goal will help you succeed with your articles, stories and even books. In this episode, I will explain the different types of writing goals you can set and how you can track your goals. Recently I came across a great quote and a piece of advice by David Brooks who is an American writer who writes with the New York Times and other publications. He said: "Great creative minds think like artists but work like accountants." This is a fantastic piece of advice because yes, there's a time for exploring interesting ideas that you're intrigued by, but you also need to quantify what success for your writing looks like. Be honest with yourself. Ask: have you actually produced anything of merit? In other words, you need to be able to step back from your work and ask yourself, "Is this getting the job done?" Like many people, I spend way too much time thumbing through news feeds and clicking on intriguing Twitter headlines. Over the years, I've investigated various ways of reducing how long I spend staring at my feeds so I can focus more on work or unwinding come five o'clock. Today, I regularly use the app Pocket to save interesting articles I come across during the working day to my phone and read them later after I've worked through my to-do list. I wanted to discover more about how to create and write popular non-fiction articles. So I spoke to Nate Weiner, CEO of Pocket. I started by asking Nate why he created Pocket in the first place before getting into what makes for a remarkable article. Would you like to get out of the starting blocks faster when your alarm clock sounds? If so, you need a morning ritual or routine you adhere to without question. Beethoven, for example, went for an early morning walk each day with a pocket notebook to capture ideas before composing. He did all right. In The Creative Habit, American choreographer Twyla Tharp explained, "It's Pavlovian: Follow the routine, (and) get a creative pay off." So what rituals can you follow to rise up and start the day the right way? Find out in this episode. Writing is a lonely job. It demands spending extended periods by yourself working on articles, stories or books, often without feedback from others. Look at the work spaces of many famous writers, and you'll find them typing away in basements, coffee shops and rooms at the tops of their houses or backs of their apartments. The American poet Raymond Carver, for example, often wrote on a notepad in his car. The big question is: How can you balance the time you need by yourself to create and the accompanying feelings of loneliness? Lots of top writers and creative professionals nap every day. It will help you find more ideas and focus on your writing. In this episode, I explain how to nap effectively and get away with it, based on an interview with Christoper Lindholst CEO of Metronaps. Malcolm Gladwell is one of the world's top business writers, but did you know he struggled to find success for years? In this episode, I explain how Gladwell made peace with marketing and writing and what you can learn from his approach. What's the best grammar checker you can use in 2018? Or are you looking for the best online proofreading software? As a writer who loves tools, I've tested some of the most popular proofreading tools and best grammar checkers for writers, bloggers and authors. In this post, I'll explain what's the best proofreading software and grammar checker software in 2018 and what you need to know about each one of these tools. I'll also review Ginger and Whitesmoke in detail. Albert Einstein knew how to work hard, and he also knew when to take time off. He once said, "I have no special talents. I am only passionately curious." Einstein's curiosity drove him as a child, adult and older man to pursue scientific ideas and projects that are still applicable today, such as his famous Theory of Relativity. His life and approach to work, as detailed by Walter Isaacson, offers many lessons if you want to become more productive. Author. Printer. Politician. Scientist. Postmaster. Founding father. As one of the leading thinkers and public figures of the eighteenth century, Benjamin Franklin knew a thing or two about getting things done—and playing the whistle (more on that later). He demonstrated a tremendous stability to balance competing projects, interests and jobs. So how did he accomplish so much during his lifetime, and how can you apply these mental strategies today? Famous American playwright and screenwriter David Mamet offers two rules for success as an artist. Although he speaks primarily from his experiences as a dramatic writer, Mamet’s advice is useful for all kinds of creatives including painters, musicians, comedians and even bloggers on Medium. He said, “You’ve got to do one thing for your art every day, and you’ve got to do one thing for your business every day.” What does Mamet’s advice look like in practice? And is he right? Do you want to turn your blog into a book? If you're a non-fiction writer, this is a fantastic approach to writing a book. Last year, I set out to write a book about non-fiction writing. I decided that I wanted to turn some of the blog posts from Become a Writer Today into book chapters. So I drew together the strands of my published blog posts with the topic for my book. In this episode, I'll explain what I learned from this approach to book writing. I'll also give you some blog to book tips. But first, why should you consider turning a blog post into a book? And how do you know if this approach to book writing is for you? I once wrote the first draft of a book chapter that smelt so bad, I had to open up the office window while reading it. It's a good thing my first drafts are for me alone, and yours should be too. When you sit down to write a first draft, you may lack confidence or feel uninspired by what you're about to do. When you’re writing a first draft, it's you alone wrestling with your ideas and stories, and if you pin one to the page or if procrastination pins you to the chair, nobody needs to know. Most writers, even successful ones, don't write good first drafts. They're more concerned with getting the words out of their heads and onto the blank page. They know they can fix their writing later on during a subsequent rewrite or during the editing process. You may feel like you're writing with a crayon in your mouth, and that's okay. I've worked at home on and off for several years as a journalist, copywriter and marketer. I've procrastinated and accomplished nothing while working outside of the office. I've also enjoyed some of my most productive days while working at home. I'm not alone. Earlier this year, social media software company Buffer found that more than 90% of employees working outside of the office would prefer to work remotely for the remainder of their careers rather than going back to the office. You might prefer working from home, so you need to take the right steps to avoid distractions and become more productive. I want to talk about four of the most common fears that new writers and people who set out to write a book for the first time often have. To talk about these fears I want to tell you a little bit about my writing journey. You see, when I was in my early twenties I decided I wanted to become a writer and I said I wanted to write a book but there was just one problem, I wasn’t writing anything at all. You see, I believed I wasn’t ready to write and I needed some anointed mentor in a tweed jacket to pull me aside and say “Bryan, now is your time!” and I became jealous of the success of the people around me – the journalist I went to college with and the other students in the creative writing class I was in and I felt sick by my lack of progress. So I joined an advanced creative writing and non-fiction writing workshop in Dublin and on the second evening, the instructor said that every student had to submit a short story or a personal essay. It’s exciting, isn’t it? Writing your first book and then sending the final version to your editor and later it being available (and SELLING!) on stores like Amazon. The months (or even years) of hard work are over, and now you can watch with pride as your book goes out into the world. Now, you can sit back as your ideas and stories make an impact on readers and earn you a side-income. You can finally call yourself an author. But, what if you’re not there yet? What if you’re still struggling to finish writing your first book? Then, I think you’ll agree with me that writing a book is tough work. Like really tough. But, don’t worry. In this episode, I’m going to be honest with you. I’m going to reveal seven of the most common writing mistakes aspiring authors must avoid (and how you can do it). Several readers and listeners recently emailed me asking: “How can I become a better writer?” The right answer to how to become a better writer (or even a good writer), depends on what level you’re at, what you write, and what becoming a better writer means for you. For example, Stephen King may think success means topping the New York Times best-seller list. (Suffice to say, Mr. King did not email me.) Success for a new writer could mean getting published in a magazine for the first time. Years ago, success for me meant writing pretty little sentences. 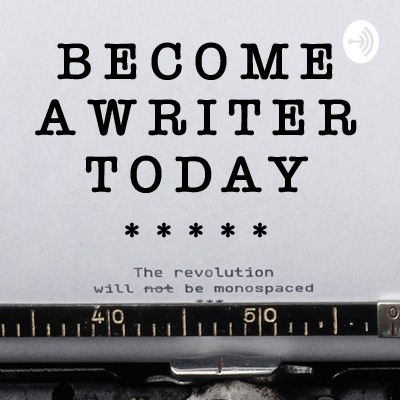 These days my answer to how to become a better writer means helping readers (more on that in this episode). Whether you're writing fiction, non-fiction or blogging, deadlines are important. In this episode, I explain five ways you can manage your time and ship your work. I even offer a tip from Elon Musk's playbook. Lots of writers and creative professionals worry about keeping focused and productive without burning out. Find out how to strike the right balance in this episode.